Cape Town - Endeavour – the popular prequel to the Inspector Morse crime drama – returns to ITV Choice (DStv 123) for a sixth season on Wednesday, 13 February, at 20:00, within days of its broadcast in the UK. Writer and creator Russell Lewis speaks about the series and what to expect from the new season. 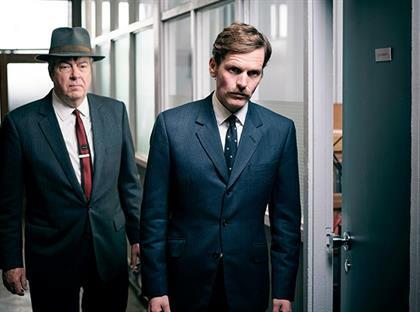 Endeavour – as a series – has always been about Morse’s journey from innocence to experience. Our mission – such as it is – has been to try to fill in some of the unwritten history that pointed the way to the man he would become. When we first met Endeavour in 1965, he was a young man with a certain hopeful naiveté about him. Nobody’s fool, but a little gauche. The optimism of youth still burned brightly upon his brow. His heart – that faithful, haunted heart – was worn upon his sleeve for all to see. But a lot of blood has flowed under Magdalen bridge since those green days, and the heartaches and thousand natural shocks have cost him dear. Thus, we find him – in high summer 1969 – once shy, twice bitten. Rootless, adrift, and with no place to call his own. Scarred by recent experience, he has retreated – withdrawn from the world, and allowed his former friendships and associations to fall into neglectful disrepair. His waking hours are lost in the anaesthetic of the humdrum, his nights in another kind of anaesthetic altogether. Now, we would call it “self-medicating” – a need to numb the senses, and still an overactive mind. We build our defences against a wounding world brick by brick – but a fortress may well become a prison; as to close oneself off from the possibility of pain also denies a potential for happiness. We’ve put Endeavour through a lot across the past five series – physically, psychologically, emotionally, and romantically. But however hard life has come at him, he’s always had the solid support of Fred Thursday to rely upon; confidence to share and troubles to halve over a pint or two – or a late night on the whisky. Now – the game has changed – and that prop has been removed. For if Endeavour is no longer the man he was, then Thursday also has fallen prey to self-doubt, guilt and regret. Dispossessed of authority at work, and with his home life in ruins, all Thursday once held dear now stands upon the balance. Chief Superintendent Reginald Bright is also a shadow of his former self. Side-lined, marginalised, he has become something of a figure of ridicule. A change in fortune that’s hard to take for a man of quiet dignity and pride. The old certainties upon which he could depend - order, discipline, a respect for authority, the chain of command, a benevolent paternalism – once fixed and immutable, appear now discredited; easy targets for the cheap mockery of a younger generation. The world has moved on from that he knew as a young officer with the Colonial police, and it seems has left him behind. Of them all, only Detective Sergeant Jim Strange seems braced and ready to meet the coming decade. A political animal by instinct, Strange has always had an eye for the main chance – and yet, even he remains uneasy – unwilling to bury the memory of George Fancy along with the passing decade. With the surviving quartet of City men each isolated one from the other, it falls to friends and colleagues to provide constancy and continuity. Dr Max deBryn – “the one true friend”- in his own quiet, and unassuming way, is set to become custodian of the group’s conscience – keeping the tattered Colours safe until such time as they may be needed once again. Though the Britain slouching towards 1970 is a place vastly changed from that which began the decade, Dorothea Frazil – detective without a badge, and the beating heart of the Oxford Mail – remains as true as the Pole star, and Endeavour’s staunchest ally in the pursuit of truth and justice. However – if colleagues remain constant, change is in air for Win Thursday. Hitherto, the “good wife” – loyal and dependable – her patience has been tested to breaking point, and things Chez Thursday may never quite recover. Joan, too, is on a journey of her own. The dutiful daughter and bank teller of ‘65 has yielded place to a young woman with a social conscience, and a burning desire to put the world to rights. Whether room in her life remains for romance, and for one admirer in particular, remains to be seen. All of us involved in making Endeavour have always wanted to keep the show fresh, moving forward, and pushing the boundaries of what a notionally cosy whodunit might encompass. We are in a slightly different place to Inspector Morse, and, indeed, Lewis, insofar as Endeavour has a timeline – a sense of development for our characters as we move towards a pre-ordained terminus – a remorseful day of our own, which is, alas, inching slowly into view. But we have a way to go yet, and 1969 delivers four new cases to test Endeavour, Thursday, and Oxford’s finest. Namely Pylon (13 February); Apollo (20 February 20); Confection (27 February) and Degüello (6 March). Each story in its way reflects changes in Britain and the wider world. However, when it comes to crime, some things never change. Getting to add another quartet of tales to the history of Colin Dexter’s immortal creation remains the most tremendous pleasure and privilege. Looking back across 1969, we’ve certainly taken Endeavour into some new places. Pylon sets the tone and rings the changes loud and clear. For all the pastoral idyll of blue skies and cornfields, there is a darkness on the edge of frame – a sour note of corruption, moral and mortal – that threatens to overwhelm all. The tra-la days are over.